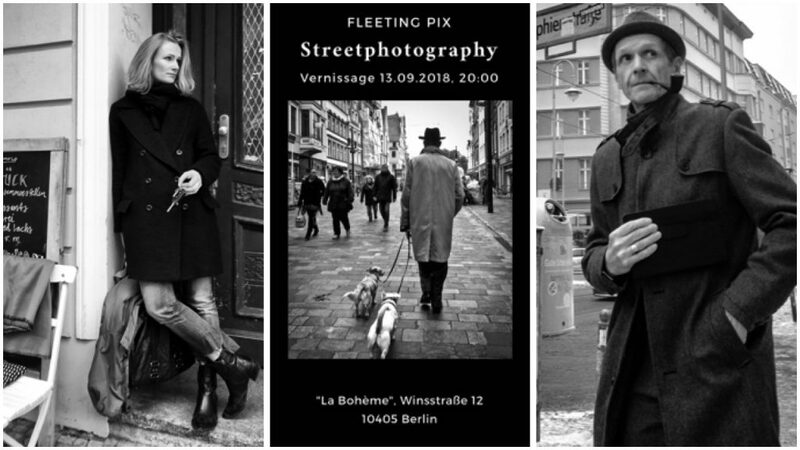 Due to the european General Data Protection Regulation (GDPR) I reduced my engagement in street photography. In fact, taking pictures of strangers in the streets without asking them for permission is illegal now. But nevertheless I decided to publish a few of my older street pictures at an exhibition. It is a very new experience for me and I like it. If you are interested and in Berlin the next days, come and see.